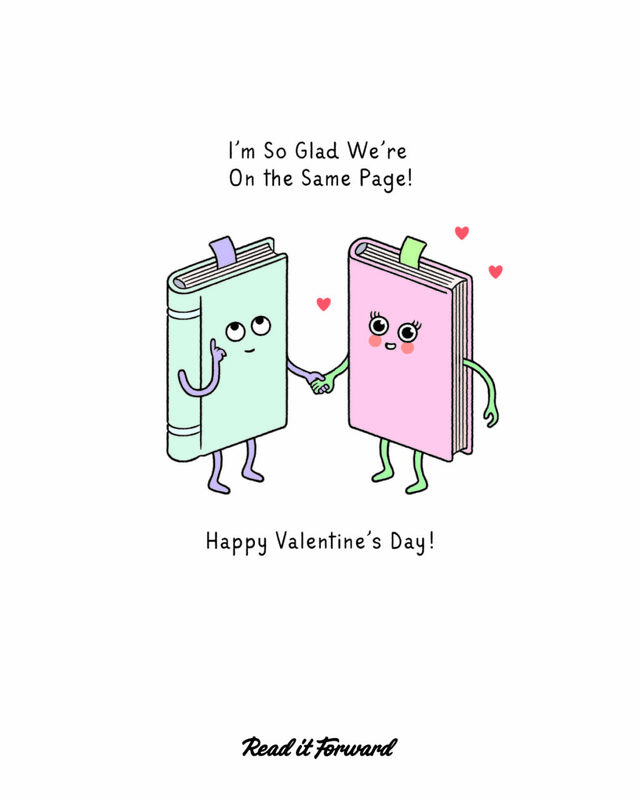 Send Free Valentines to Fellow Book Lovers! 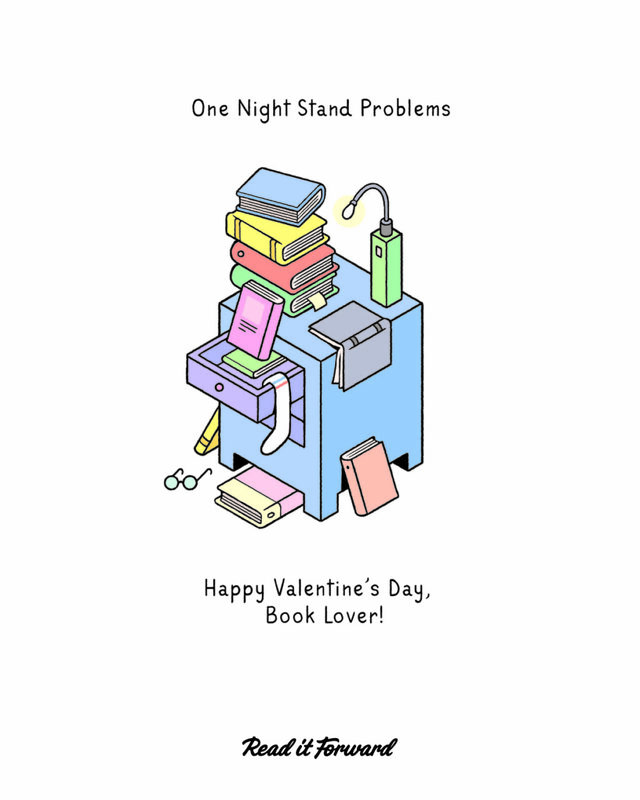 You love books (and people who love books). Use these six cards to profess your lust for literature. 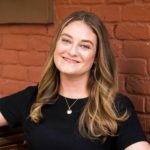 Read it Forward knows you love books. (We do too.) 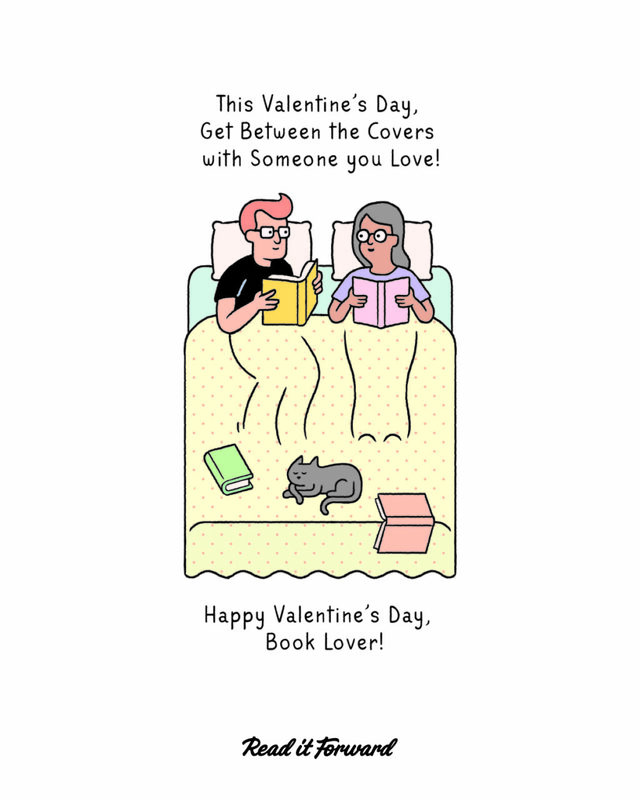 We also know you probably love someone else who loves books. (We do too.) 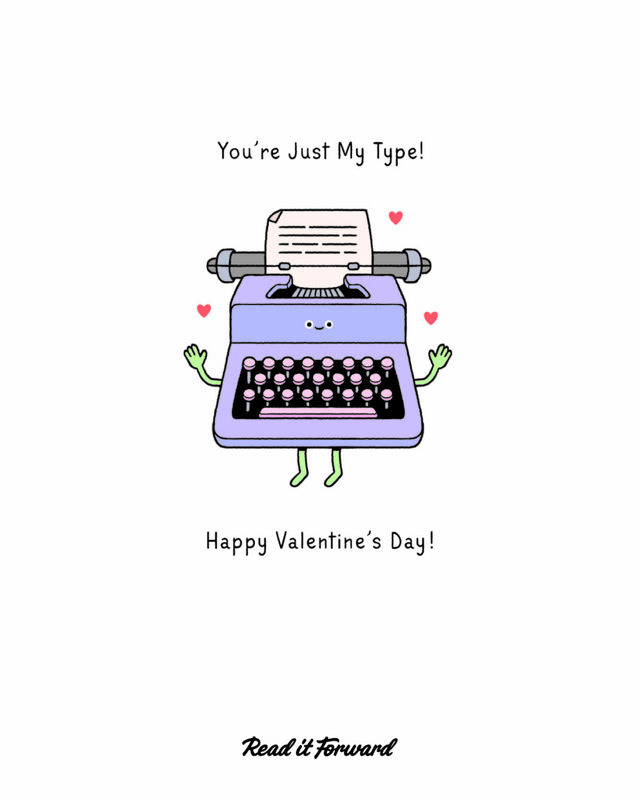 To share the love amongst book worms this Valentine’s Day, we created six unique Valentines that are perfect for any lit lover. 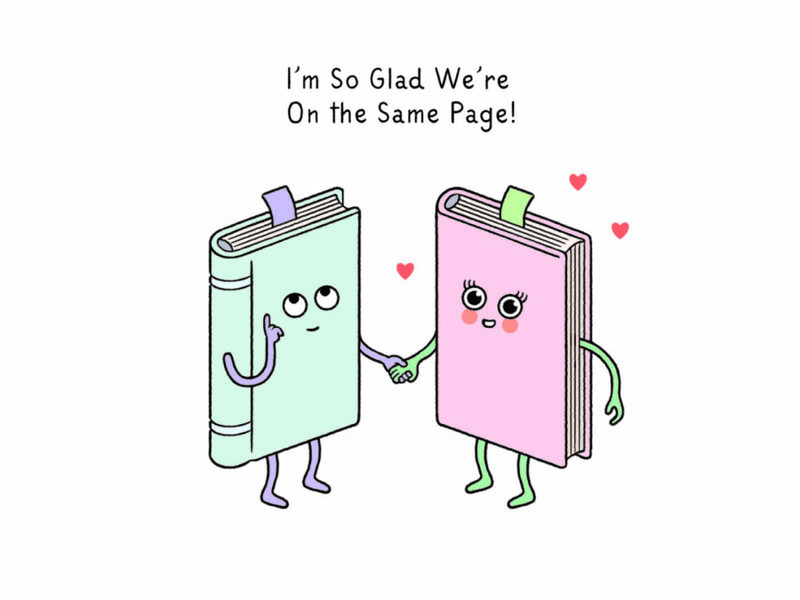 Pick your favorite to share on social media, or choose one to send to someone else—maybe your BFF from book club, the librarian who always has the best recommendations or your partner, with whom you’ve merged bookshelves. Then sit back, crack open a book and let love rule. 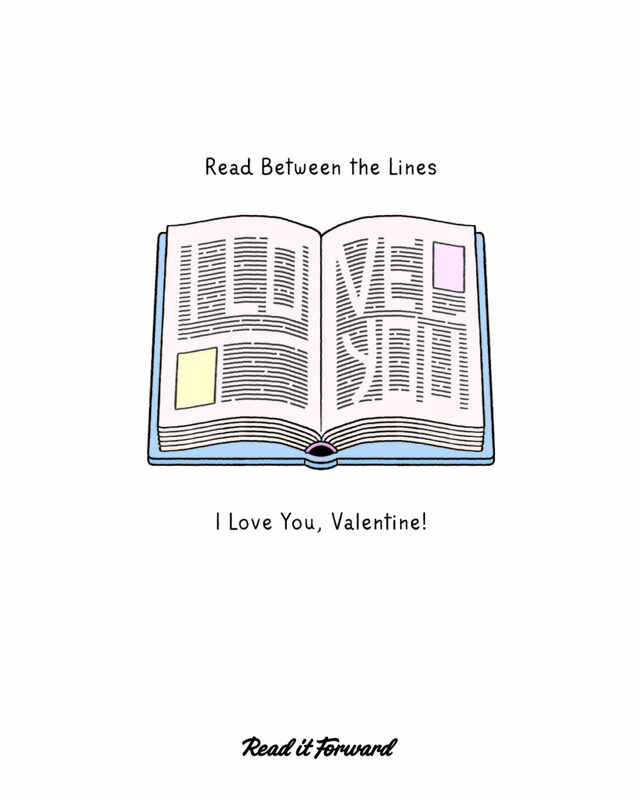 Click to send this valentine to a friend or fellow book lover through Facebook, Twitter, Pinterest or Email!